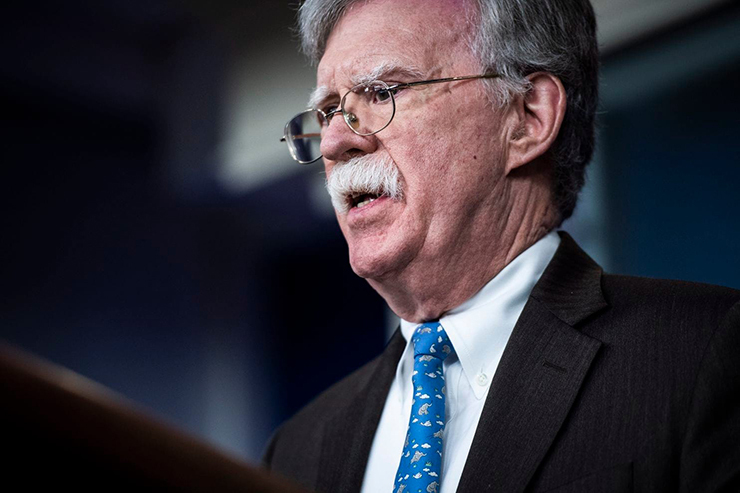 Not long ago, we examined two attempts which were made by Victor Cha—failed US Ambassador to South Korea and one of the most odious foreign policy hawks—to disrupt the North Korea–United States Summit. First, the Center for Strategic and International Studies (CSIS), where Cha is responsible for South Korea, tried to claim a well-known military facility was actually a hidden military base, alleging Kim Jong-un had breached the terms of an agreement which he had never signed. Even Cha’s colleagues from 38 North said that his second report about another missile base was regrettable. Two weeks after U.S. President Donald Trump and North Korean leader Kim Jong Un cut short their second summit with no agreement or clear path forward, a top North Korean official said on Friday the “gangster-like” behavior of Trump’s hawkish top officials helped derail the denuclearization negotiations. The Trump-Kim Summit: What Really Happened in Hanoi? A second summit meeting for the US and North Korea is reportedly scheduled to take place in Vietnam at the end of the month. Expert opinions on where these negotiations are headed range from the insightful to the incredibly naive, with mainstream media consumers consistently finding themselves in the latter category. Trump supporters believe their president is going to pull off some Art of the Deal wizardry and convince Pyongyang to completely denuclearize, and mainstream Democrats believe Trump is being foolish, facilitating the nefarious agendas of an evil dictator. As happens with pretty much all US foreign policy issues these days, the picture is completely obscured by the mass media’s obsessive fixation on Trump. On October 10, 2018, Kang Kyung-wha, the South Korean foreign minister, during parliamentary investigations into the activities of her ministry, stated that Seoul is looking at the possibility of lifting the unilateral sanctions that were imposed on North Korea on May 24, 2010 in response to the sinking of the South Korean patrol ship Cheonan in the Yellow Sea. She added that lifting the sanctions could be an important symbolic step. The reinstatement of North Korea: What effects on the ‘story’ of socialism? 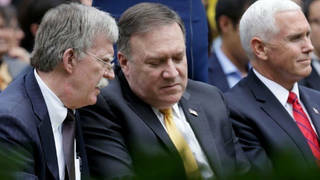 It seems unlikely – as it defies 73 years of ongoing aggression, warfare, the near-warfare of constant tap dancing on the border, starvation-creating sanctions, false promises, broken promises, racist caricaturing, hysterical knee-jerk anti-socialism, and more besides – but what if Washington finally allows North Korea to reintegrate into the multinational world? 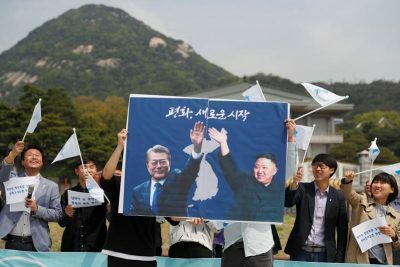 The historical Moon-Kim summit ended- after three days of excitement, hope and determination- at the sacred Cheon-ji (Heaven’s Lake) located at the top of Mt Baek-du where Dangun, son of Hwanung who descended from heaven to found the Korean nation more than 4,300 thousand years ago. Through their meeting, two Koreas reaffirmed their common sacred origin and destiny.